If you’ve ever had to pour wine down the drain because it’s gone bad before you had a chance to drink it, then you know it’s a sad, sad moment. 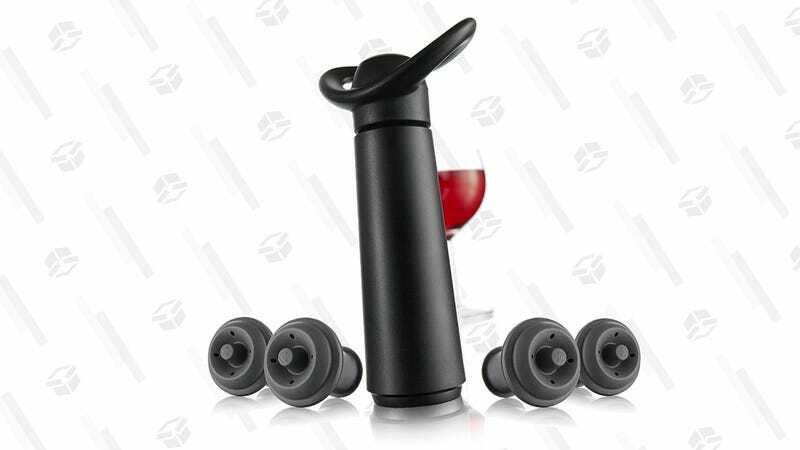 Pick up one these vacuum wine savers, and save yourself the heartache. 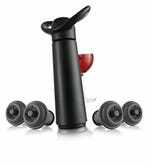 It removes the air from an opened bottle of wine and can extend the life of your bottle for up to a week. This $12 set includes one vacuum pump and four sealers. Today’s price is the best it’s been three months, and even if you only use it to save two half bottles of wine, it will have already paid for itself.